Whatever your choice of drink is, it always tastes better in a pretty glass. Like this one by Fabergé for example! It was made by workmaster Mikhail Perkhin, 1895. 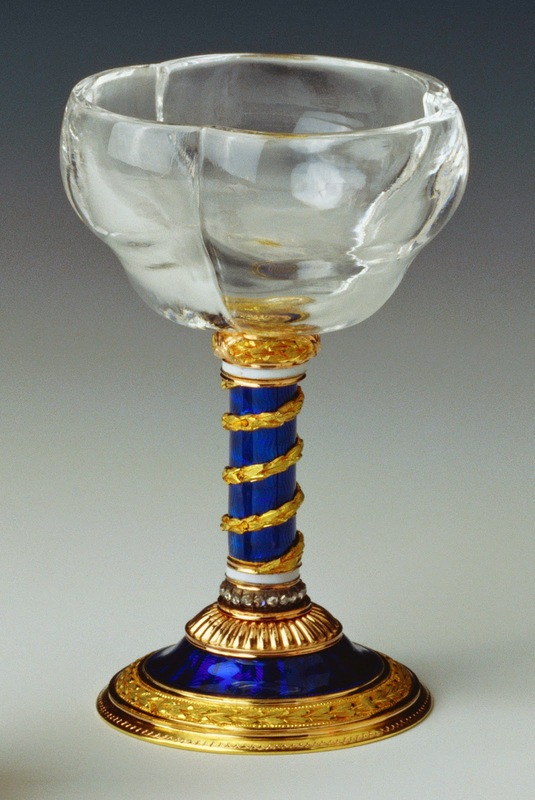 The cup of the goblet is made of rock crystal. The stem and foot holding it up is covered in royal blue and white enamel, decorated with ornaments of two-colored gold and rose-cut diamonds. It was given as a Christmas present to Queen Mary, by Dowager Tsarina Alexandra Feodorovna, at Christmas 1895. Now it resides in the Royal Collection.